Since the reform and opening up period, the world has witnessed a transformation within China. This transformation has led millions out of poverty within China and has in recent years seen China as an important and vital engine of economic growth for the rest of the world. While China has made great strides in embarking on the road to a market economy, this book emphasizes that transformation within China to market-driven development is far from over. In this book, Zhang puts forward the idea that the reform in China has now reached a crossroads. The next steps have a bearing not only on the sustainability of past reform but even on whether China will become a veritable world power in the future. With the reform at this pivotal juncture, this book explores further reform within China and examines how the reform debate will develop. 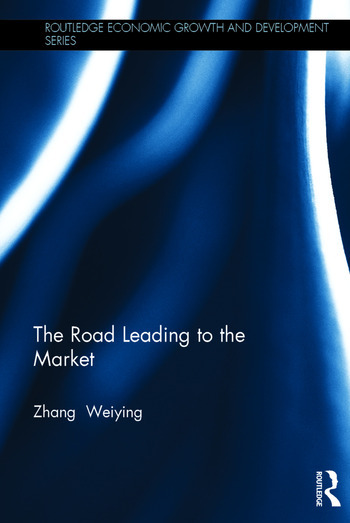 The Road Leading to the Market is a highly readable collection of essays which will appeal to researchers and students of China’s economy and a globalized economy. Zhang Weiying holds a Ph.D. in Economics from Oxford University, is a co-founder of the China Center for Economic Research (CCER) at Peking University, a former president of Guanghua School of Management at Peking University, a former vice director of the International Association for Chinese Management Research (IACMR) and is vice chairman of Chinese Economics. He is well known for his contributions to macro-control policy debating, ownership reform debating, and entrepreneurship studies. He has published numerous articles in some of the top international journals such as Journal of Economic Behavior and Organization and Journal of Comparative Economics. He is also the author of several well known books such as Price, Market and Entrepreneurs, The Logic of the Market, and What has Changed China. He has been the most cited economist in Chinese academic journals since 1995. Translator: Gao Qian (??) is an Associate Professor in School of Foreign Languages, Hangzhou Normal University. His main research interests lie in the studies of contemporary Western translation theories, as well as translation education.